Communications Minister Brian Mushimba says if fake news, cyber bullying and other computer based crimes become a threat to national security, government may be forced to ban access to Facebook, Google and other sites. Speaking on Radio Phoenix’ Let the People Talk, Tuesday, Mushimba said government may be forced to go the China way. “The issue with cyber security and the bullying, fake news and all these other abuses, as we fight them, if we feel at any point as government that it is getting out of hand and it is a national security concern, we may take the route that others have taken. If you have been to China, if you have been to Ethiopia, there are restrictions to certain sites you can go to and certain things you can do. We don’t want to go there. We are not that type of government. We are a government that wants to protect rights, promote rights, and we want productive use of the tools. 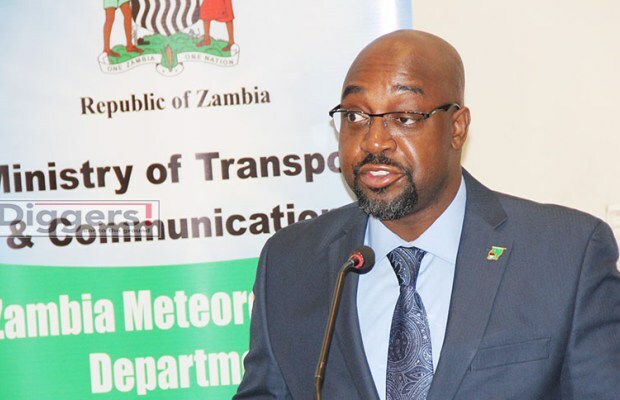 If there’s a larger section of the population that chooses to prey on people and do all kinds of activities and we make a decision to go that route, you will see why we have taken that decision but we don’t want to take that decision,” Mushimba said. He said it was sad that people were abusing something as innovative as social media. “It is sad that something so powerful and innovative like social media and the internet can actually fall prey to the abuse that slowly we are picking up and its there. You see people creating fake accounts, insulting people, all the way to insulting the Head of State. You see fake news being generated and just many other unscrupulous ways of using social media when it is a powerful tool of disseminating information, get it to wherever you want to get it to very quickly, and we need to actually use it productively,” he said. Mushimba explained the bills which he intended to present to Parliament. “The bills that I am talking to Parliament have been clamped into three, there is a Cyber Security and a Cyber Crimes Bill and what this bill will do is to ensure cyber security and also criminalise computer and network based offenses. When we take this bill to Parliament and it comes to pass, some of the benefits we should see include protection of victims against cyber crimes and it will also establish Zambia Cyber Security Agency that will provide oversight and powers and guidelines to investigate and prosecute these crimes,” said Mushimba.